Tuna with peppers of 167 gr. Tuna steamed. Sterile product. No additives or colorants. 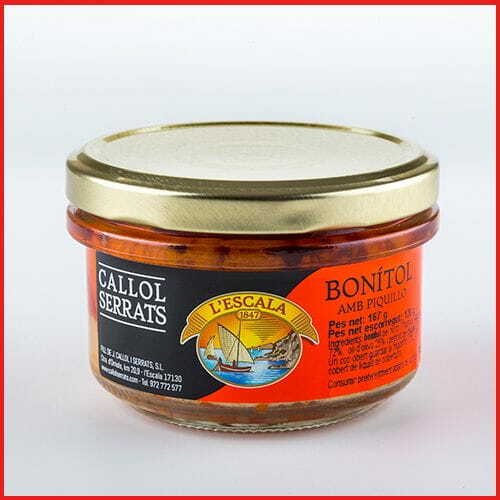 Ingredients: Tuna (Thunnus alalunga), olive oil, piquillo pepper and salt.